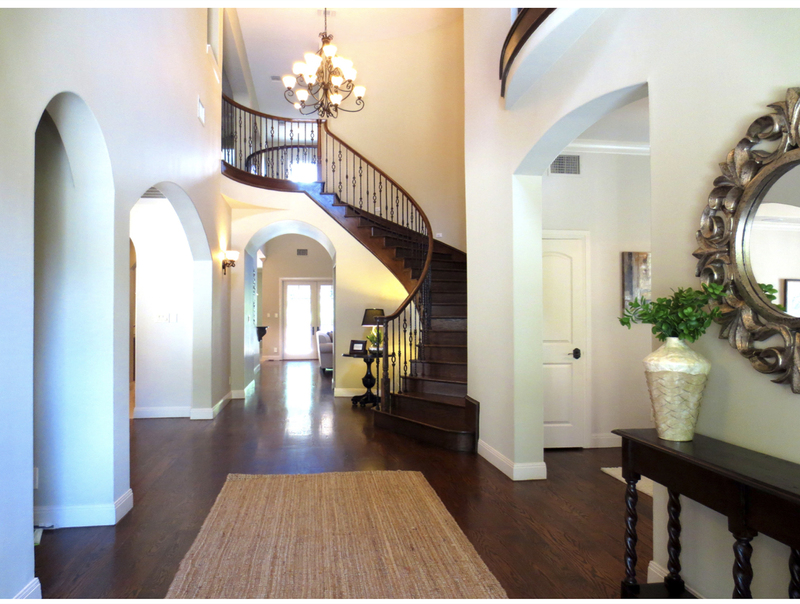 You know that BY Design Staging sells your listings faster and for more money. But, your clients don't sell houses every day and might not be familiar with home staging. Here is your script to get them on board. Let's take a look at each of those and explore some appropriate responses. This is your script for handling each situation. 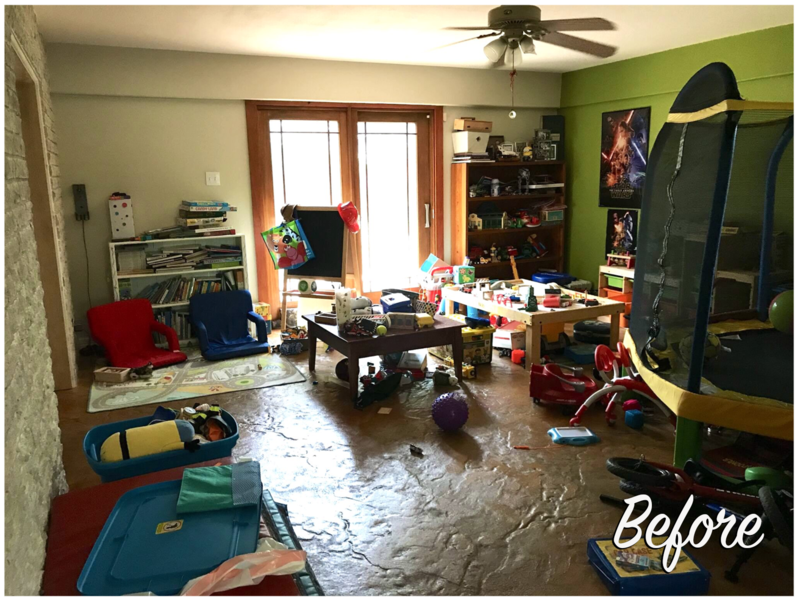 The seller may say something along the lines of "I didn't stage my last house and it sold fine," or "My home was professionally decorated," or "It looks clean and open since it is vacant." The market has changed and, thanks to HGTV, Pinterest, Houzz, etc, buyers now expect more. They want to be 'wow'ed. 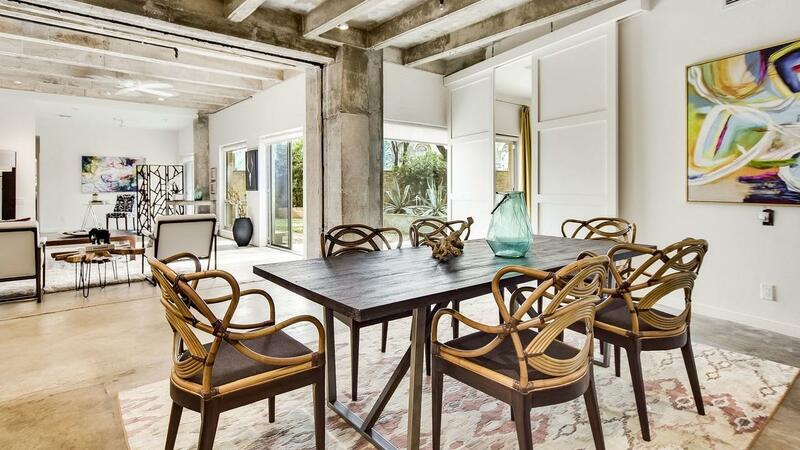 Buyers stay in a vacant home an average of 5 minutes but will linger in a furnished home an average of 40 minutes. This is important because the National Association of Realtors says that the longer a buyer remains in a home, the more likely they are to make an offer. BY Design staged home sell 67% faster than a vacant home and for an average of 6% more than asking price. When clients ask about cost before we've even sent a bid, lead with the benefits of staging in general and the benefits of working with BY Design specifically. Why should they choose us? 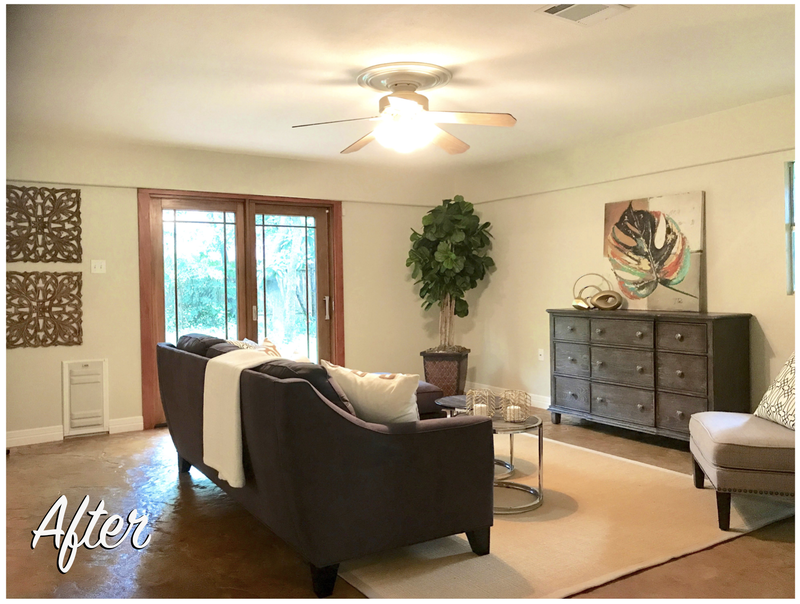 - We are a Top 5 Home Staging company, we have sold well over $2 Billion of real estate, we have won Top 10 Vacant and Occupied Stager of the Year, we won the 2018 Houzz Customer Service award, and we train home stagers from around the world on Staging Design Principles. 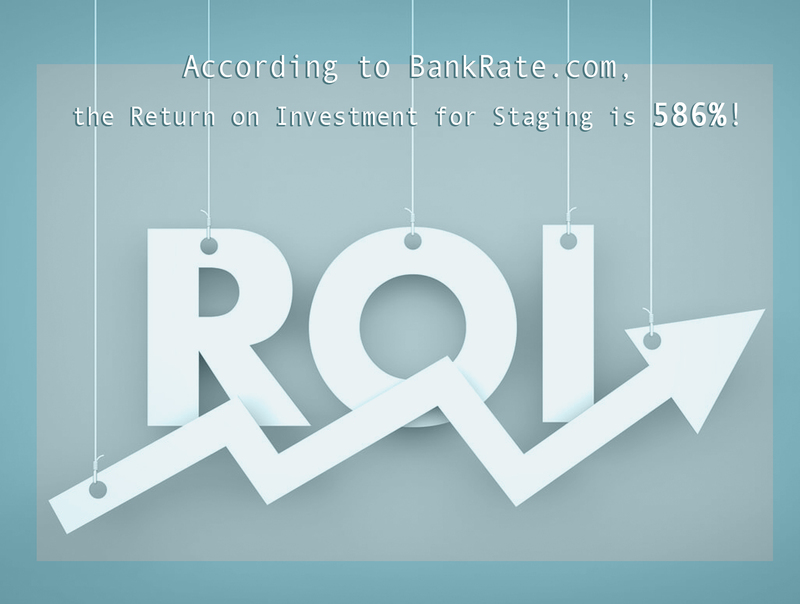 According to BankRate.com, the Return on Investment for staging is 586%! This home had been a problem child for the builder for a long time on the market. 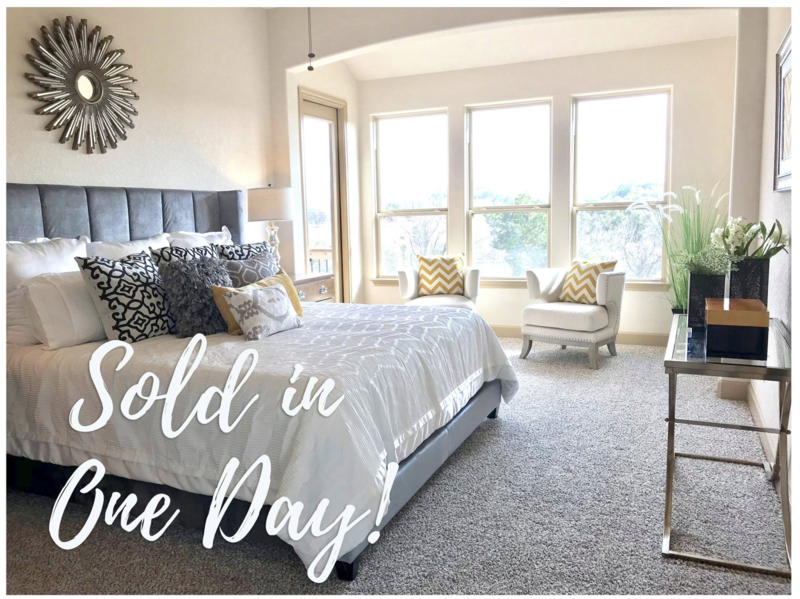 Sold the next day after staging. "We'll try it for a while and then, if it doesn't sell, we will stage." The longer a home stays on the market, the further below list price it drops. A National Association of Realtors study found that homes that sold in the first 4 weeks averaged 1% more than list price. Those first few days and weeks are the prime opportunity to get the home sold for the greatest profit. Once the 'buzz' is gone, it becomes increasingly difficult. "The buyers will just have to have vision." The way we live is different than the way we sell. 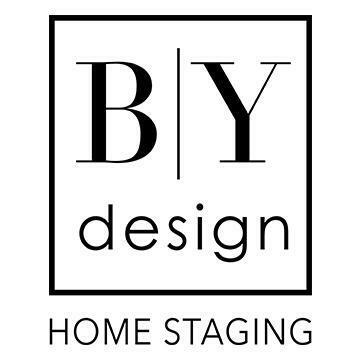 BY Design has some secret staging strategies that they use to emotionally connect the buyer to your home. For example, they try to place a mirror in the entry, so that the buyer literally 'sees' themselves in this home. That is their first and last impression during their visit. Almost a third (27%) of buyers are more willing to “overlook property faults” when the home is staged. I will create a Comparative Market Analysis (CMA) Report for you, showing a range of the appropriate price for your home. A staged home will always rise to the top of that range. All of these are some of the ready answers that you can prepare yourself with when your clients need to be educated. Once your client is on board, give us a call or submit a request for a bid.